In June 2004, Governor Schwarzenegger secured a $75 million federal grant to improve the performance of California charter schools. Under Governor Schwarzenegger's leadership, the number of charter schools in California increased from 382 to 912 - the largest expansion of charter schools in state history. As of today, California has more charter schools than any other state in the nation. In July 2005, Governor Schwarzenegger's budget provided the largest amount of funding ever for charter school facility needs. In May 2005, the University of California (UC), California State University (Cal State), business leaders, and the Governor announced the One Thousand Teachers, One Million Minds initiative to enhance the supply and preparation of science and mathematics teachers for California public schools. Under the "California Teach" program, the UC system committed to quadrupling its annual production of credentialed science and mathematics teachers, from 250 per year to 1,000 per year. Within the same program, CSU committed to double its production of teachers. This initiative is the largest of its kind in the nation. 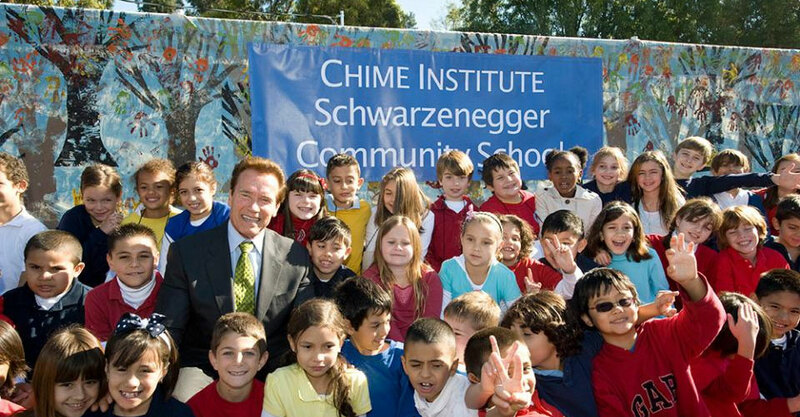 In 2002, Governor Schwarzenegger led the campaign to pass Proposition 49, which provides $550 million annually to after-school programs, making California the first in the nation to offer grants to all elementary and middle schools for after-school programs. In March 2006, the Governor hosted the After-School Summit to help facilitate the statewide rollout of Proposition 49 funds. This legislation ensures that these children can attend any school in the state; empowers parents to turn persistently failing schools into charter schools; and guarantees that California's student and teacher data systems may be used by local districts to evaluate the performance of teachers and principals. Believing public education is a basic civil right; the Governor worked with civil rights attorneys and, in August 2004, announced the landmark settlement of the Williams lawsuit. These landmark reforms addressed the needs for qualified teachers for all students, clean and safe school facilities, and up-to-date textbooks in core subjects. In May 2007, the Governor signed the Quality Education Investment Act, which provided $2.7 billion over seven years to low-performing schools. In January 2010, in concert with President Obama's Race to the Top initiative, the Governor signed education reform legislation, giving parents more freedom to choose the school that best serves their children by authorizing open enrollment for students in the lowest-performing schools. This legislation ensures that these children can attend any school in the state; empowering parents to turn persistently failing schools into charter schools; and ensuring that California's student and teacher data systems may be used by local districts to evaluate the performance of teachers and principals. In April 2010, Governor Schwarzenegger joined with the ACLU and a coalition of civil rights groups to support an end to seniority-based teacher layoffs and assignments, and give local school districts the flexibility to ensure that all California students have access to the high-quality teachers and education they deserve. Following the historic settlement of this lawsuit, in November 2010, clear guidelines were given allowing school districts to deviate from a seniority-only approach to teacher layoffs. Governor Schwarzenegger, recognizing California's leadership in technology and its power to transform public education, signed an executive order launching a Digital Textbook Initiative and forming a Technology Education Task Force. Content providers submitted free high school digital textbooks aligned to state standards, and various school districts launched pilot programs using tablet computers designed with interactive personalized education curriculum.